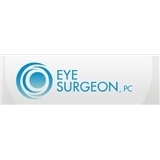 Eye Surgeon. PC (New York) - Book Appointment Online! Went to him after having spent all night in the ER, was far more helpful and prescribed exactly what was needed. Eyes felt better very quickly.